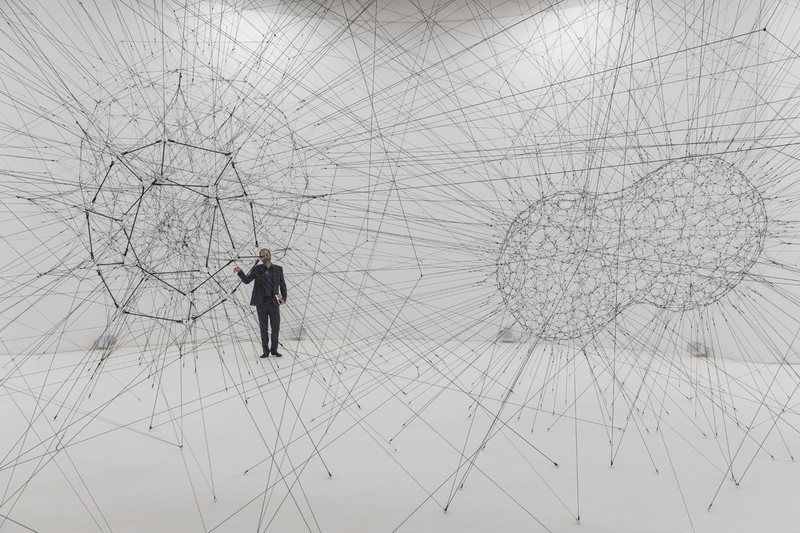 Tomás Saraceno, ‘ON AIR’ solo exhibition at Palais de Tokyo, Paris, 2018, curated by Rebecca Lamarche-Vadel. Courtesy the artist; Andersenís, Copenhagen; Esther Schipper, Berlin; Pinksummer Contemporary Art, Genoa; Ruth Benzacar, Buenos Aires; Tanya Bonakdar Gallery, New York. © Photography Andrea Rossetti, 2018. 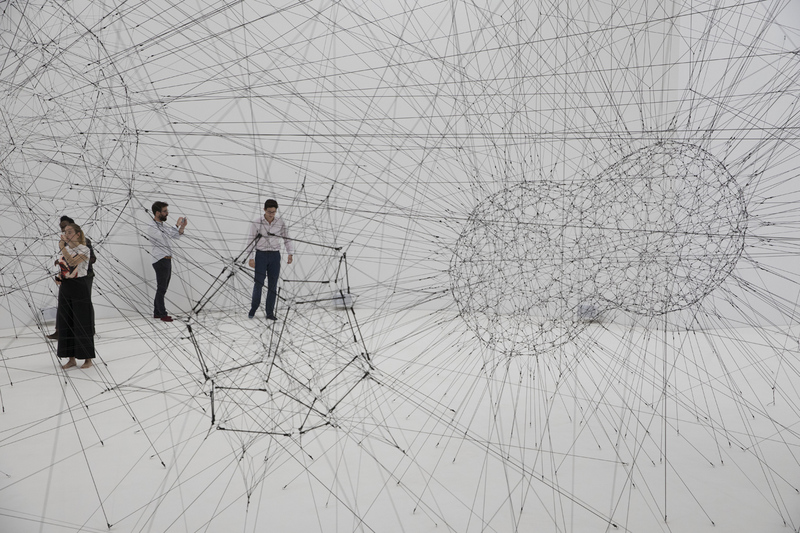 Tomás Saraceno has turned the hallowed halls of Paris’ Palais de Tokyo into an interactive spiderweb that explores our complicated relationship with the universe and unseen ecosystems. 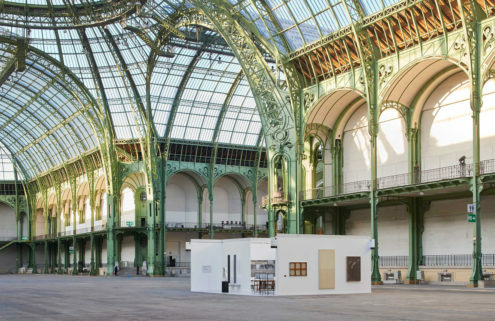 The Argentine architect-turned-artist has collaborated with scientists, activists, musicians and philosophers to create the installation, titled ‘On Air’, for the fourth edition of Palais de Tokyo’s ‘Carte Blanche’ series. 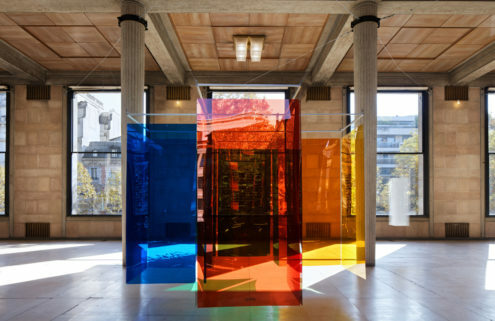 Tomás Saraceno, ‘ON AIR’ solo exhibition at Palais de Tokyo, Paris, 2018, curated by Rebecca Lamarche-Vadel. Courtesy the artist; Andersen’s, Copenhagen; Esther Schipper, Berlin; Pinksummer Contemporary Art, Genoa; Ruth Benzacar, Buenos Aires; Tanya Bonakdar Gallery, New York. © Photography : Studio Tomás Saraceno, 2018. 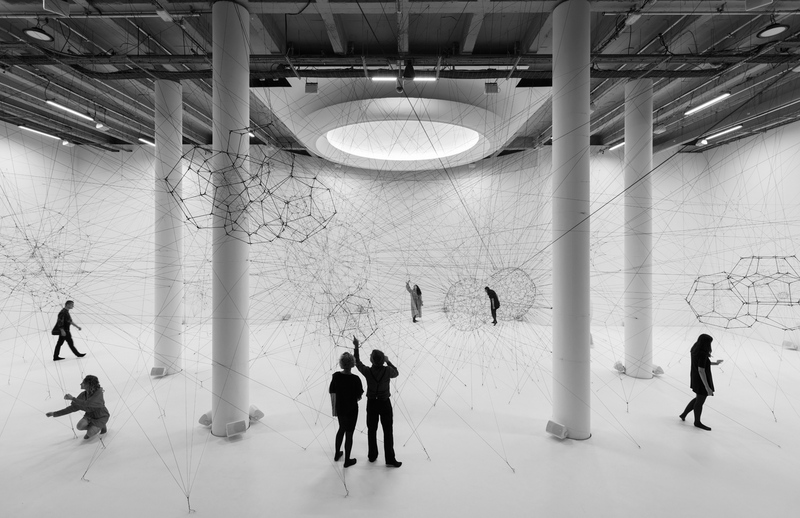 Saraceno describes the installation – which takes over the entire 13,000 sqm museum – as ‘an emergent ecosystem, a choreography of multiple voices belonging to human and non-human universes’. 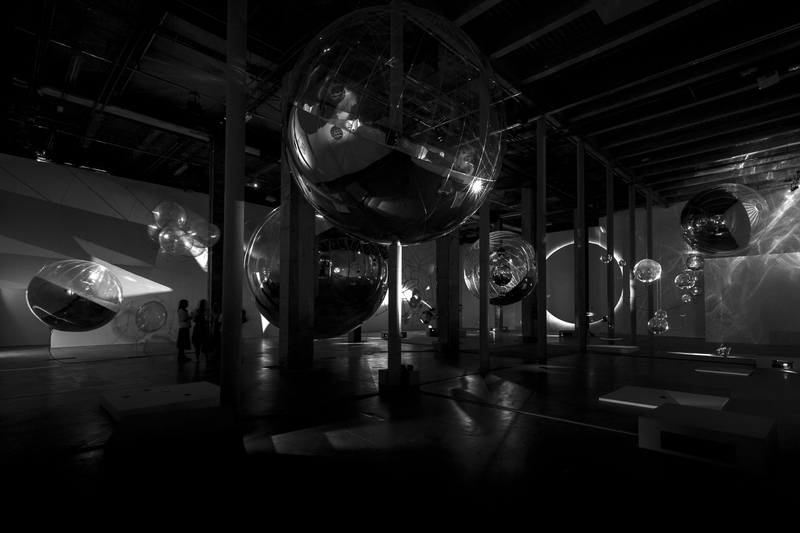 Inside are orreries (mechanical models of the solar system) as well as spiderwebs created by Saraceno’s ‘pets’, which have been scaled-up inside the 1937’s cavernous spaces using strings to create an immersive and interactive environment. Visitors can participate in a ‘cosmic jam session’ of workshops, concerts and public symposiums until 6 January 2019.